They came from far and near, veterans and amateurs, Indians and non-Indians, the young and the old. They were clad in silks and jewels, the best formal wear. No, it was not a wedding, though food was served in the dining hall on the ground floor. 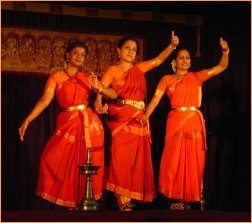 Dancers and dance lovers had gathered to celebrate Kalanidhi Narayanan’s 75th birthday on Dec 7, 2003 at Luz Community Hall in Chennai. 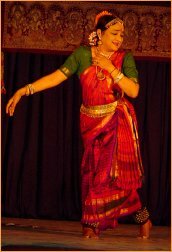 Posters featuring photographs of Kalanidhi maami (as she’s generally referred to) during various stages in her career as well as of her many students from around the globe, adorned the walls of the hall in the first floor. For the occasion, Abhinaya Sudha organized a 2-day seminar on abhinaya from 9am onwards on Dec 6th and 7th with an impressive lineup of prominent gurus of Bharatanatyam. The seminar opened with Vyjayanthimala Bali presenting ‘Embiran, Emberuman’ (Divya Prabhandam). Seated on a chair, KJ Sarasa captivated the audience with her demonstrations of Tamizh padams, ‘Adhuvum solluvaal’- a kirtanam from Nandanar Charitam and ‘Sattrey Vilagi Irum Iyya.’ She was recovering from an injury and almost did not make it to the seminar. 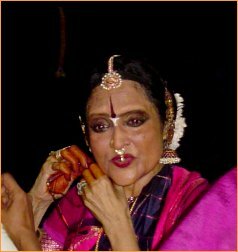 She expressed her delight in guru C V Chandrasekhar being awarded the Nadha Brahmam by Narada Gana Sabha, but could not comprehend how younger artistes who still had a long way to go, got recognition from the Tamilnadu Govt., with the Kalaimamani award whereas veterans like mridangist Adyar Balu, (who accompanied most of the artistes for both days) were still being overlooked. 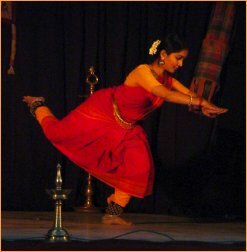 The third in line was a brisk performance by Lakshmi Viswanathan who presented Kshetrayya padams and javalis. Concluding the morning session was Krishnaveni Lakshmanan who presented excerpts from the Geeta Govindam through her daughter and disciple Gayatri, Balagurunathan and Mathangi. 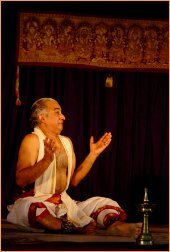 The morning of Dec 7th started with scholar and writer V A K Ranga Rao holding court with his talk on the compositions of Annamacharya. 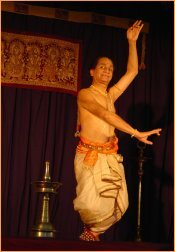 The first performance of the morning was an excerpt from Arunachala Kavi’s Rama Natakam by the Dhananjayans and Shoba Bhalchandra. Dhananjayan spoke about how he innovated a bit himself those days and presented the epic with stark, simple costumes and that much to his surprise, it was such a hit then and continues to be so over the years. 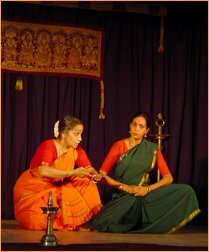 The scene portrayed was how the hunchback Mandara (played by Shanta) poisons the mind of Kaikeyi (Shoba) who then single-mindedly demands of Dasaratha to make her son Bharata king and send Rama into exile. 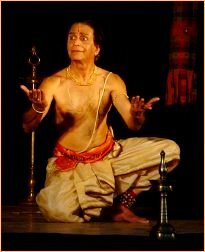 Dasaratha suffers in anguish, as he cannot retract the boons he had promised Kaikeyi in a weak moment. The performance received a standing ovation. Sudharani Raghupathy spoke about Puranadaradasa and gave a detailed explanation of his kritis before her students performed the items. 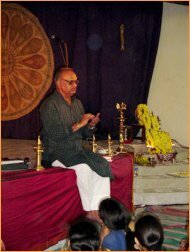 The final session was by C V Chandrasekhar who presented the compositions of Surdas and Meera. Sumitra Roy Chowdhry had come all the way from Gujarat to sing for him. 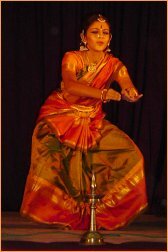 For the last 20 years, she has provided vocal accompaniment for all his north Indian presentations. 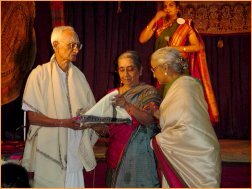 Produced by Abhinaya Sudha, a set of 4 Cds on padams costing Rs.500 - 2 on Kshetrayya padams, one on Sarangapani padams and one on Annamacharya padams, was released by 91-year-old veteran critic KS Mahadevan and Leela Sekhar received the first copy. 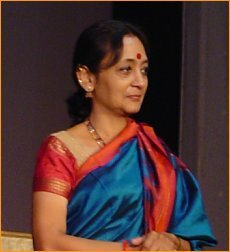 Leela Sekhar observed that perhaps she could be the only one in the audience who could claim that she had attended the arangetram of a 12-year-old Kalanidhi who performed at the Senate House for the Music Academy, which did not have its own auditorium then. She had accompanied her guru Jayammal, the mother of Balasarawathi. Jayammal had taught music to Leela and her sister, perhaps the first of Brahmin girls to be so honored to have Jayammal as their teacher. 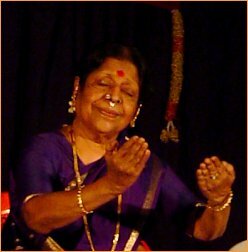 Kalanidhi Narayanan concluded by thanking everyone profusely for their overwhelming show of affection and that she did not imagine it would turn out to be a celebration of such a magnificent scale. She felt that all the artistes who performed on both days had perhaps exceeded their own expectations, as if the performance space had given them extra special inspiration to do better than their best, but that the credit of choosing their respective themes was solely hers!